Not all horses are pets, some are working animals who look forward to a well-earned retirement. 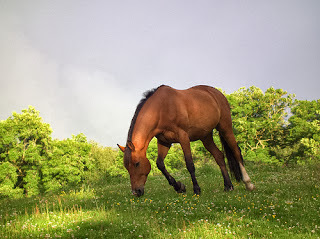 However, whatever your equine does during the day, whether it's walking around their field with friends and keeping the grass down, or helping human co-workers undertake important tasks, they deserve a comfortable place to sleep at night, good quality horse rugs for different seasons, the right food, and enough exercise. One horse we're sure gets looked after very well, who got into Bolton's news recently, is Chester the bay. He's a big police horse who was helping his rider show a trainee mounted police officer and their steed how to patrol the town centre. But despite having a serious job, we're pleased to see that Chester still has time for his fans. In this case it was five-month-old Logan, who was held up by his mum so that he could give the horse a pat. The majority of horses love getting attention from people and enjoy being shown affection. The best way to do this is to make sure they don't want for anything necessary for their health and happiness. Horses should always have access to clean water, suitable food, shelter from the elements, and only the correct horse equipment should be used to look after them. If you're looking for a pair of beautifully made and well-fitted English riding boots, then you need not look further than Dogwood London. However, although we do a range of products for equines as well as riders, such as horse rugs, bridles, and tacks, we can't claim to sell horse shoes – and certainly not the most state-of-the-art types. There's a lot of talk about 3D printing at the moment, with some of its most exciting uses being to create replacement limbs and organs for injured people. There are many other ways in which this tech has been employed though, and one is to make horse shoes. Australian scientists have made four titanium shoes for a race horse which has been nicknamed Titanium Prints. The animal, which resides in Melbourne, had its hooves scanned by the Commonwealth Scientific and Industrial Research Organisation (CSIRO), and then the special shoes were designed to fit from the scan. Usually made from aluminium, horse shoes can be quite heavy – but these titanium ones are much lighter, and could help the equine race ahead of competitors. Nevertheless, despite these shoes being lighter, they are more expensive, as is usually the case with products leading the way in their field (no pun intended). 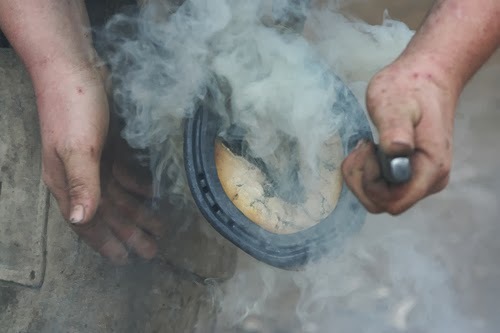 Still, perhaps horse owners will overlook the price and purchase some titanium shoes for their animal, at the very least to see what all the fuss is about. It only requires a few people to take the first step (again no pun intended) and buy an innovative product to make it the next big thing. Lavant House Stables in Chichester, West Sussex, is holding an Apprenticeship Open Morning tomorrow for teenagers between the ages of 15 and 18 who are interested in having a career working with horses. From 10am to 1pm, youngsters will be able to come to the stables, meet the horses, and the team who looks after them, as well as find out what a job working with horses entails. The stables run a professional programme which enables those who enrol to work towards achieving NVQ levels 1 and 2 – which are equivalent to 5 GCSE's at grade C and above. Some of the lessons will involve learning to ride the horses safely, and others will teach students stable management, providing them with valuable skills such as how to use and store horse equipment properly. The Lavant House Stables even have horses and ponies for sale, so anyone who would like to own their very own equine might find their ideal animal. 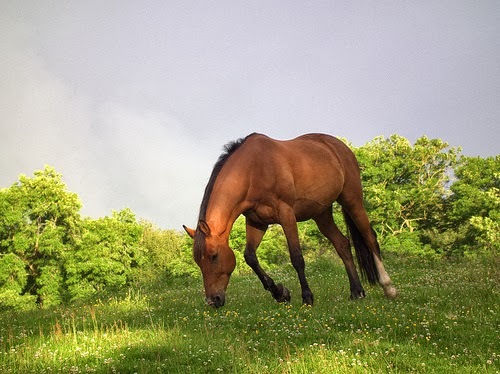 However, if you do purchase a horse or pony, it is very important that you have a suitable stable to keep them in, a field for them to get the exercise and freedom they need to be happy, as well as the correct horse equipment with which to look after and ride them safely. Dogwood London can help you find riding hats, saddles, boots, as well as other useful gear such as gloves, bridles, and horse rugs. Have a browse of the online store today! Six horses have been saved from lives of neglect this month, with the RSPCA taking three while the others were taken by World Horse Welfare. The animals were discovered at a farm in Kent, suffering from inadequate diet, dental problems, untreated ringworm, and wounds from their horse rugs. Horse rugs should be properly fitted to a horse – not loose – so that the material does not rub and the rug does not start twisting round, potentially causing the animal to panic. Both owners were banned from owning equines for twelve months, fined £100, and ordered to pay £500 in court costs each. 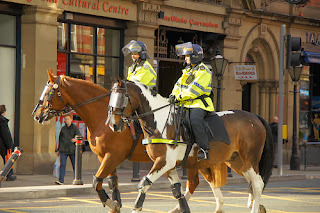 Due to appeals by the pair, it took a while before the two organisations had full ownership of the six horses. Speaking of the three horses taken into World Horse Welfare's care, Manny (a brown Thoroughbred), Pally, (a Welsh Cross Palomino), and Terry (a Welsh Cross Chestnut), the Field Officer stated, "The good news is that the three lovely boys are now officially ours, which I am very happy about – we can now look forward to rehoming them to new families through our Rehoming Scheme." For high-quality horse rugs and other equipment to keep your animal comfortable, such as fly sheets, please visit Dogwood London today. Some say, if you haven’t ridden a horse for years, it’s just like getting back on a bike. Personally, I think it’s easier. Growing up in the New Forest, riding both a bike and a horse – not at the same time I hasten to add – were activities I participated in on a regular basis. Living within 150 square miles of ancient woodland and open heathland gave me plenty of opportunity to go cycling and riding whenever possible, breathing in the fresh outdoors and eyeing up the beautiful scenery. Sometimes I would ride in the paddock – this was the case if it was a windy day or if I hadn’t been riding for a while and wanted to brush up on my skills or learn more advanced techniques. On one memorable occasion, I went horse riding in the paddock with my sister. After donning our riding hats and boots, we rode single file; she on her horse behind me on mine. Enjoying our leisurely ride around the enclosure, I suddenly heard this ‘thump’ and turned back to see my sister sat on the muddy ground. Turns out, her horse bit my horse’s bum, who then retaliated by kicking him, knocking my sister off in the process. Fortunately, no-one was harmed and I found the incident highly amusing. At the age of 18 I moved from the New Forest and, now having the ability to drive, relied on my motorised vehicle to get me from A to B. The change in lifestyle meant I didn’t have much need for horse riding or cycling, so I pretty much gave them up. City living became my new focus as the years went by, but I’m still a country girl at heart and always end up going back to my roots. However, it was only really when I met my – now closest – friend that I gave cycling and horse riding another go – and it wasn’t what I had expected. Getting back on a bike after ten years wasn’t like they say – it’s not that easy. Every twig, stone and branch I rode over, gave me a dreaded feeling that I was going to come tumbling down to the ground below. Fortunately, after about an hour, I soon picked it up and was ‘flying’ down hills at ridiculous speeds. Horse riding, however, was a different matter entirely. As soon as I got back on a horse, sitting upright and proud, strolling through the countryside and taking in the scenery, I immediately felt at home. In fact, it was choosing a secure riding hat that was the most difficult task out of the whole experience. Rummaging through a box of them, trying on every shape and size I could find, it took an age to find one which felt relatively comfortable and fitted correctly. 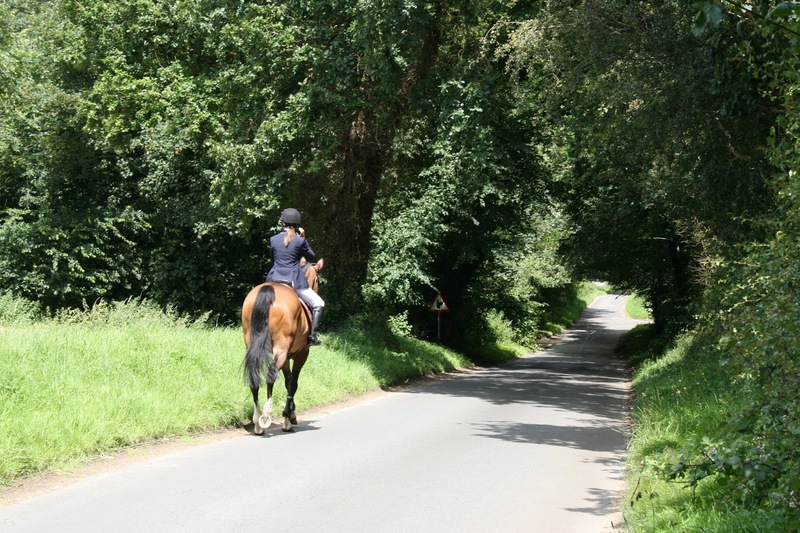 There is no doubt in my mind that, if I took up riding again on a regular basis, I would make sure I buy a riding hat which is safe and secure, guaranteeing comfort and reassurance on every ride. Twenty-three-year-old horse rider Laura Collett, who hopes to compete for Team GB in the 2016 Olympics, has suffered a serious injury while training Kauto Star on Tweseldown Racecourse, Hampshire. 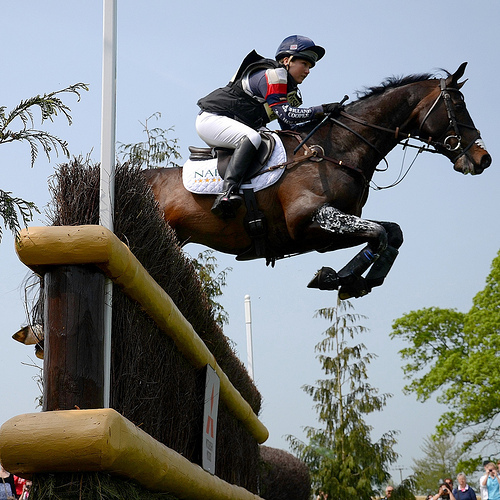 She had been riding the Cheltenham Gold Cup winning horse to prepare it to compete in dressage, when she suffered a fall. Thankfully she was wearing a riding hat and it appears that she has escaped head injury, but she still sustained damage to her lungs and kidneys so has been kept under sedation. Kauto Star's owner stated, "Laura's making good progress and we are hopeful there isn't any brain damage. "She has got other injuries – some kidney problems – but everyone is optimistic and we hope she gets back in to the saddle in due course." Reportedly the event rider woke up briefly and reacted well to family, which is promising progress. Dogwood wish Laura all the best and hope she gets discharged from hospital soon! So, L has been having riding lessons for just over a year and a half and she's a very happy young rider. Her riding boots are thoroughly worn in, she has two pairs of well-used jodhpurs, and her riding hat has been put to good use when protecting her in a couple of falls. As a family we are learning to have horses and equine pursuits in our lives and we often accompany L up to the fields so that she can look after "the boys". L now rides Jake quite often and the owner is extremely surprised and pleased with Jake's, and L's, progress. L is determined that horses will continue to feature in her life and as she makes plans for a future career, the strongest contender, at the moment, is for her to join the police force. She hopes that she could combine this with her love of horses and go into the mounted police division. As a non-horsey mummy, I find this somewhat daunting, but she is strong-willed, a natural leader, and her love of horses certainly seems to be something she will not grow out of easily. So, perhaps this could be the perfect vocation for her. We will continue to watch her riding lessons with great joy and, sometimes, a sense of trepidation as the exercises get trickier and the jumps get higher. And if you are considering taking your child to have riding lessons, I say, do it. It's fun, gets them out into the fresh air, they have to work hard and listen, and they learn respect for animals and each other.